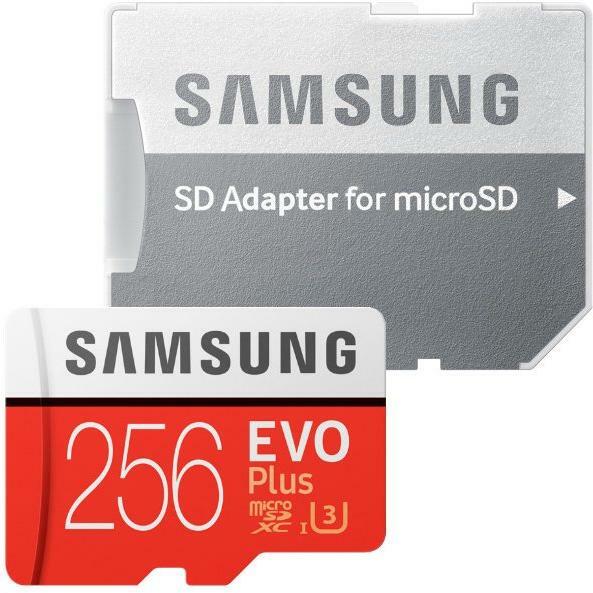 Маркирани оферти за Samsung MicroSDXC EVO Plus 256GB C10/U3/UHS-I MB-MC256GA/EU Как са подбрани? Memory Speed : "Read : up to 100MB/s with UHS-1 interface Write : up to 90MB/s with UHS-1 interface * The foregoing read & write speeds are demonstrated by internal test conducted under certain controlled conditions, and actual speeds may vary depending upon usage and other conditions. For products incompatible with UHS-I interface, the speeds may vary subject to different interface conditions"